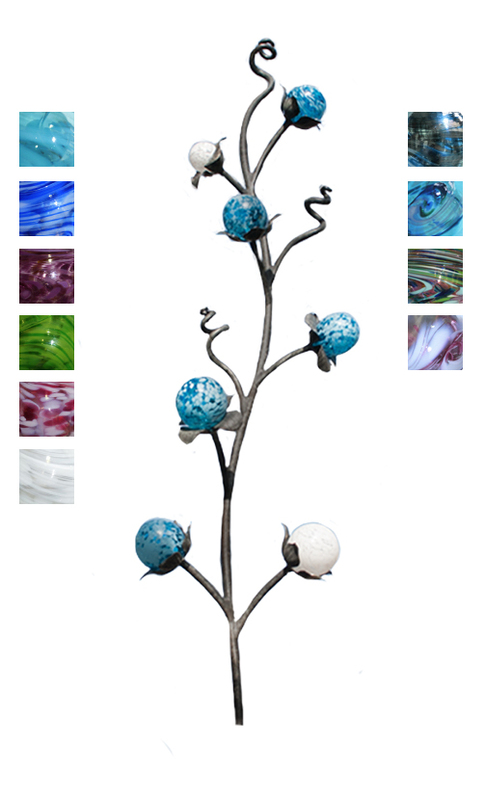 Bath Aqua Glass have teamed up with StraySparks to make garden sculptures. Their joint creativity look to create some amazing new projects. This is the first project, which we have designed to go outside our Bath Aqua flagship store in the Abbey Courtyard. Straysparks was shortlisted for best new product design at RHS Chelsea Flower Show in 2011, 2013 and 2015. 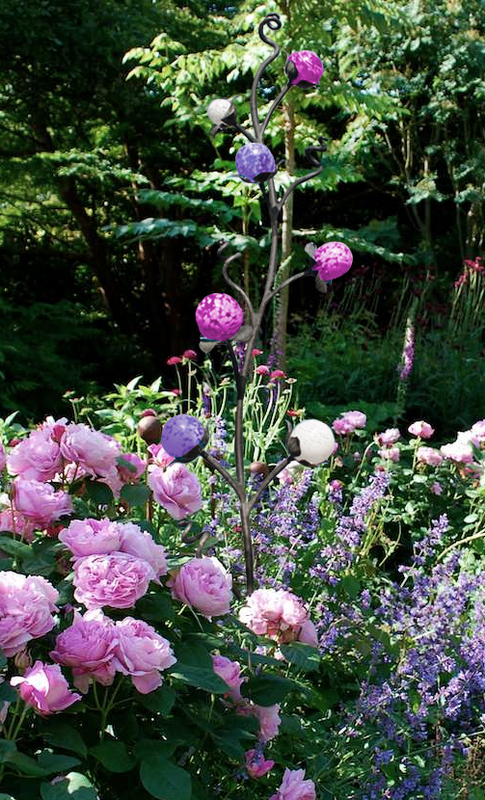 Our combined creativity can make a garden into a wonderland. 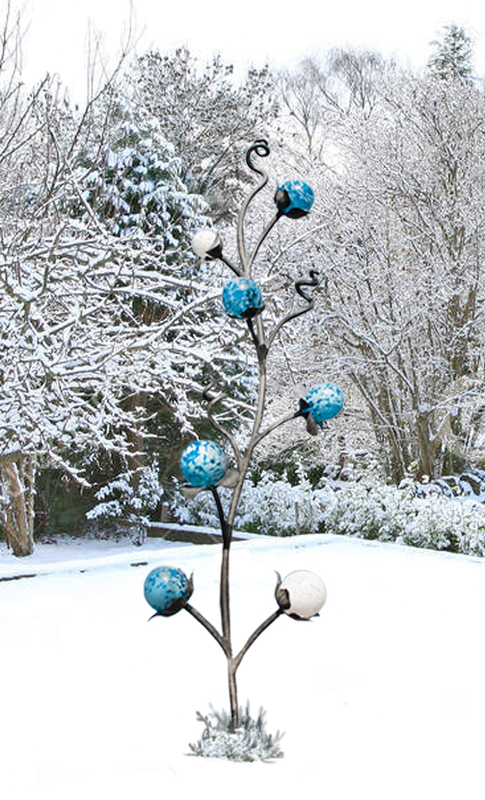 This particular design retails from £500 depending on amount of flowers and metalwork. For a quotation call 01225 319606 or email us at sales@bathaquaglass.com, or fill in the form below. Great new works coming soon! We can work with your on your ideas.